Bespoke clothing fit for royalty, from undergarments to overcoats. Master tailor, Andra Gabriella, creates one-of-a-kind clothing, for women who prefer the finer things in life. Immeasurable time and skill goes into each piece, handmade in her Chelsea studio. Working with delicate fabrics, unique threads and antique buttons and beads, no two garments are ever alike. Her love for fashion and beauty is demonstrated in the quality and detail of the garments she makes. 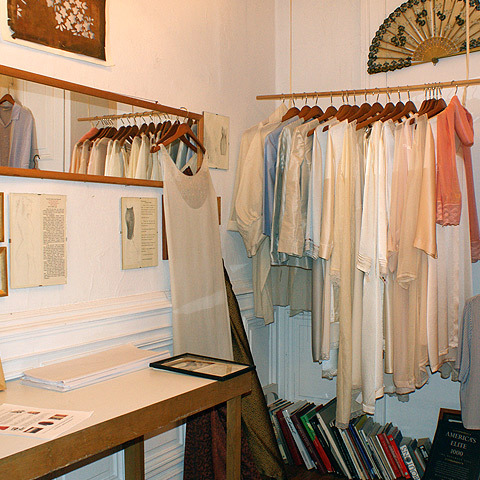 Custom clothing for women made with limited antique fabrics and trims. Hand-embroydery & hand-finished touches.